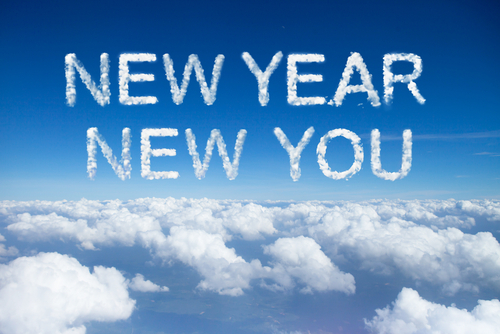 As 2014 is among us, chances are you’ve already began your New Year’s resolution. If you’re concerned with how your face and body are aging, perhaps your goal this year is to focus on attaining a more youthful appearance. Even if you’ve already started one resolution, consider adding the following to your list. Aside from the health consequences that tend to develop over time, smokers are also more prone to developing premature facial wrinkles and sagging skin. To reduce the amount that you smoke, or kick the habit entirely, it’s important to have realistic expectations. Rather than trying to stop “cold turkey,” try to slowly wean yourself off by setting goals on specific dates throughout the year. Living a healthy lifestyle takes more than just regularly following a steady exercise routine. In order to achieve a healthier you, consume fewer processed foods (anything in a can, bag, or box) and include more fresh produce in your diet. To maintain a healthy complexion, aim to incorporate fruits and vegetables that are high in fiber and antioxidants, such as spinach, broccoli, and berries. Whether you wish to eliminate the signs of aging or maintain an already youthful appearance, cosmetic procedures are a great option for practically all women and men. If you wish to improve the condition of your facial appearance, then a facelift or brow lift may be right for you. If you want a slimmer or more shapely body, perhaps liposuction or a tummy tuck is just what you need. In addition to these procedures, we also offer a variety of injectable fillers at our Newport Beach practice. Maybe you’ve thought about undergoing some form of cosmetic treatment in the past but failed to follow through with it. With the motivation that the New Year gives you to look your best, there is no better time to undergo the cosmetic procedure that you desire. If you live in or near the Newport Beach area, we encourage you to schedule a consultation with our board-certified plastic surgeon, Dr. Terry Dubrow, today. Call (949) 515-4111 or feel free to fill out our online contact form today. Dr. Dubrow is certified by the American Board of Plastic Surgery and dedicated to helping you look your best in 2014. Happy New Year!